US Hwy-27 S through Falmouth (go approx 1/4 miles) . Right on Meadowlark Ln. Home on Left. 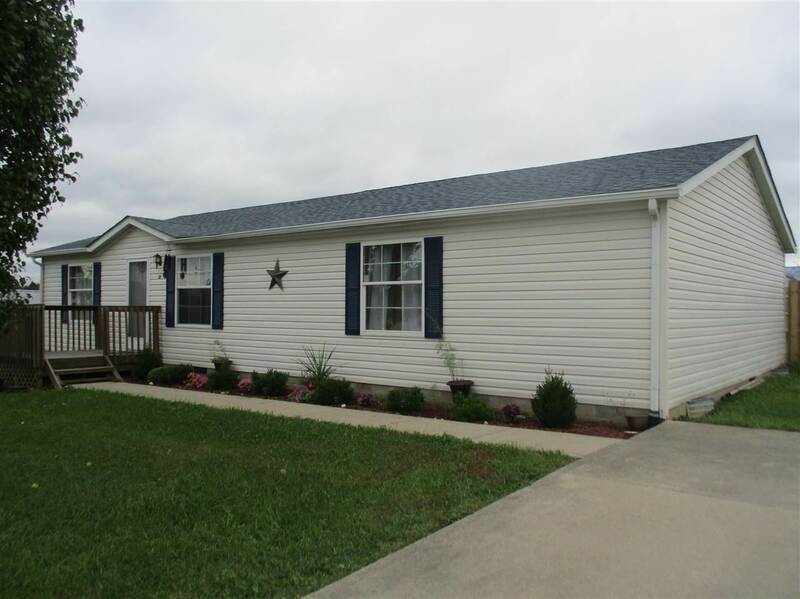 This lovely 1,456 sq ft Ranch home features 3 bedrooms (all with walk-in closets) and 2 full baths. Living room with decorative/inoperable fireplace and beautiful laminate flooring. Living room is open to kitchen and dining area for that open concept that so many are looking for. Eat-in kitchen boasts 2 year newer stainless steel appliances w/walkout to concrete patio*Newer 2 year HVAC and roof. Water heater was replaced approx 1 year ago. Double concrete driveway for parking. Large backyard with newer privacy fence. Master BR has adjoining Master BA with garden tub and stand alone shower.